Easily enhance your photography with HDR Projects 4 Professional, available for both Mac and PC. If a picture is worth a thousand words, just imagine how many novels a perfectly calibrated image could represent. 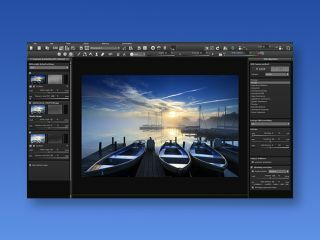 Elevate your photography with HDR Projects 4 Professional, the premier high-dynamic-range (HDR) photo editing app. It’s on sale for 85% off the retail price. HDR Projects 4 Professional is the ideal tool for all your photo manipulation needs. Enhance the details that can make a photo stand out like subtle shadows or brilliantly coloured sunsets. This app is sure to take your photography to the next level with its powerful photo processing technology. You won’t find many photo editing suites more capable than this. You can get HDR Projects 4 Professional on sale for just $29 (approx £22). Get the PC version here and the Mac version here, both available at a savings of 85% off the normal price. Don’t wait to make your photography look fabulous, and grab this premium program today.